Katie Meyer: E-books or print? I read this article today, and thought it was going to be one more attempt to shame e-book fans. I was pleasantly surprised to see it was, instead, a fairly balanced picture of the pros and cons of e-books. I think the last paragraph sums it up best. 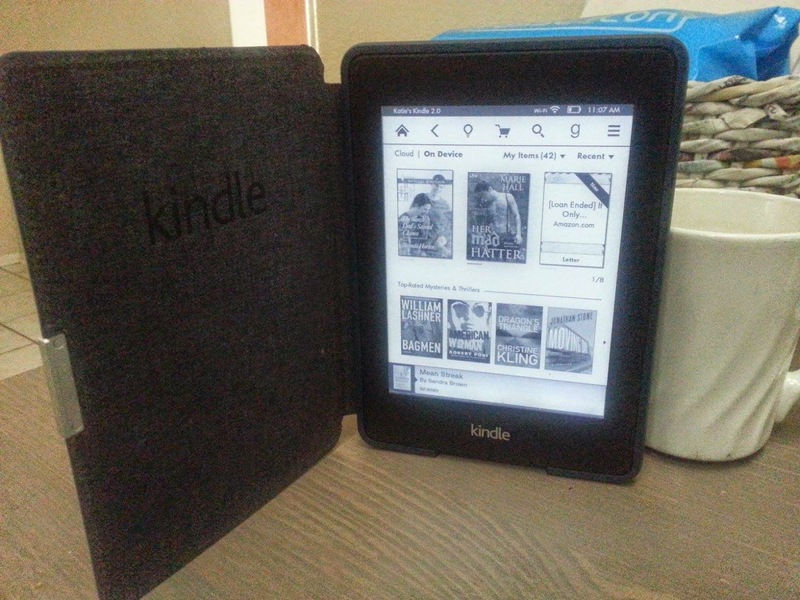 I ADORE my kindle. Some days it is my favorite child. I have insurance on it. I have a pretty cover for it. If the battery on both my kindle and my phone are low I charge the kindle first. But that doesn't mean I don't love print books too. I have shelves full of them. But I don't need to keep EVERY book I read...that's hoarding. So for books I may not read again, or for borrowing books (via overdrive and kindle unlimited) I prefer e-book format. I admit I've even caught myself clicking on a word in a print magazine, expecting to be able to see the definition, or tapping a page on my paperback waiting for it to turn. Silly? Sure. But I'm okay with that.